At Allure Cabinetry & Showroom of Naples, it’s all about custom cabinetry and the experience clients will have in the showroom. More than 20 displays, including cutting-edge kitchens, spectacular bathrooms and breathtaking outdoor living areas, as well as a wine room, bar room, home office and library can be found throughout the 8,400-square-foot space located at 3573 Mercantile Avenue. Conceived as the ultimate one-stop-and-you’re-done showroom for builders, architects, interior designers and homeowners looking to build new homes or improve an existing one, Allure showcases not only the finest of products, but the latest trends. “Those latest trends can be discovered throughout the showroom, especially in our kitchen and bathroom displays, which comprise the majority of the space,” said Kelly Erdmann, Vice President of Sales and Marketing for Allure. More than 50 percent of the 8,400 square feet at Allure Cabinetry & Showroom has been dedicated to kitchens and bathrooms, two of the most important – and renovated – rooms in a home. According to Erdmann, Allure has a wide variety of kitchen and bathroom designs from some of the country’s finest custom cabinet manufacturers. “In several instances we have exclusive agreements with national cabinet manufacturers who understand what makes our showroom different from others in the Southwest Florida marketplace,” she said. Cabinet lines on display at Allure include Bentwood, Elmwood, Harmoni, Greenfield, Siteline, NatureKast and Waterfall. Transitional, contemporary and traditional cabinet styles are all represented. Bentwood Luxury Kitchens is one of the companies that has an exclusive agreement with Allure. 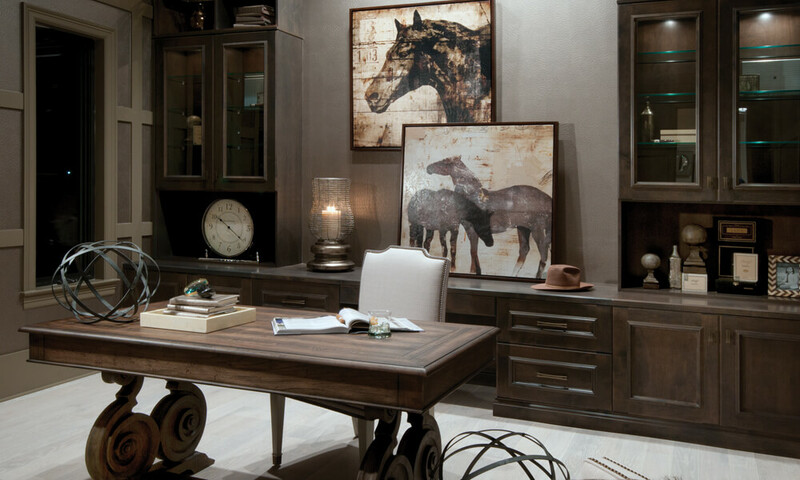 Bentwood, which was founded in 1989, is a highly respected custom cabinetry and furniture making company and is very particular with whom they do business. Bentwood will be represented in several areas in the showroom, including the primary kitchen and a very modern kitchen in the contemporary section. Pittard said the kitchen designs will reflect today’s tastes, especially those of the Baby Boomer generation. According to Pittard, the custom cabinetry business has grown at a steady pace over the past few years. To get a “style of their own” takes a little time. While some clients will select cabinetry from a manufacturer’s collection, which includes exclusive designs and a variety of wood species, finishes and decorative touches, others choose to actually create their own design and then work with the dealer and manufacturer to make their vision a reality. Once approved by the client, the cabinets are created and then shipped off to the dealer, who will install the final product to exact specifications.